If there’s one thing that Earth’s mightiest heroes hate, it’s stains on their countertops and tables. That’s why they have banded together to fight this menace. 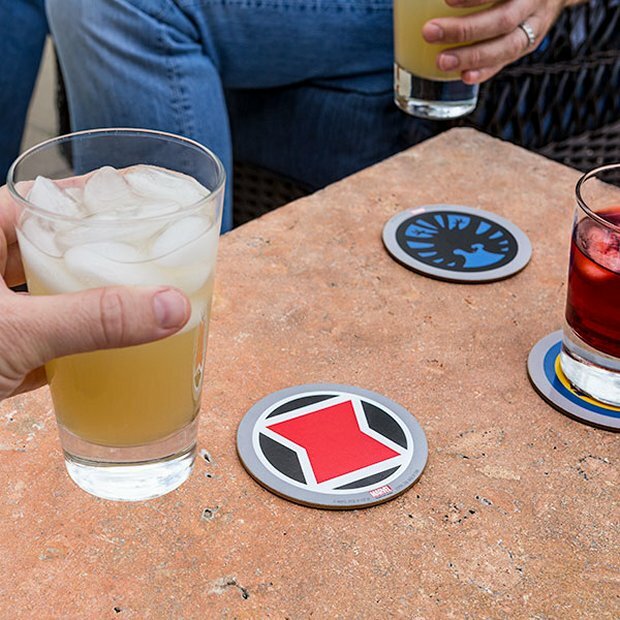 Marvel’s Avengers Coaster Set represents the best surface protect that the Marvel universe has to offer. 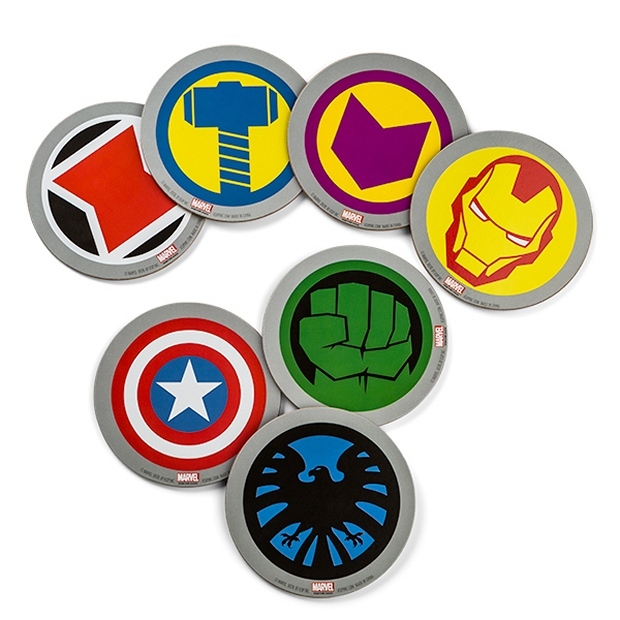 This Avengers Hero Icons coaster set gives you Hulk, Iron Man, Captain America, Thor, Black Widow, Hawkeye, and Nick Fury. The coasters are laminated cardboard with cork backing. 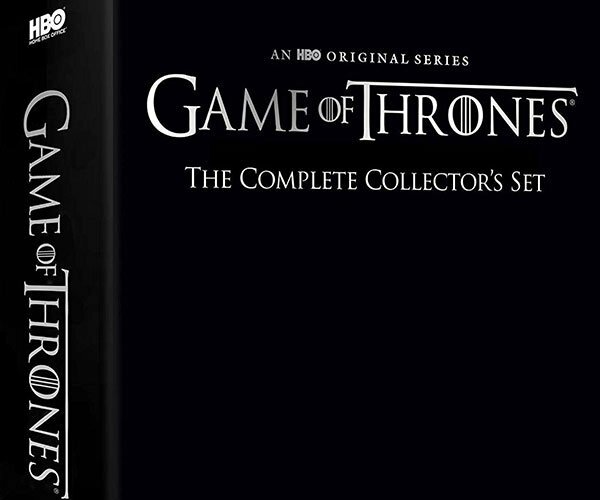 These coasters are only $9.99(USD) from Thinkgeek. Get hammered with Thor and smashed with the Hulk. Have a drink with Earth’s mightiest heroes and don’t worry about staining your table. Maybe Stan Lee will even show up as a cameo drinking partner.